Coast2Coast Sweden 2018 is a social hike across Sweden, from the eastern coast of the Baltic in Sölvesborg to the western coast in Båstad. The distance is slightly over 230 kilometers. 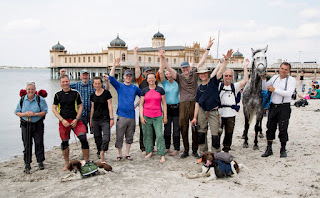 Coast2Coast Sweden has been a yearly event since 2013, when the first multinational group of people walked from Kalmar Castle to the Varberg Fortress. In 2018 we will take a different, more southerly, route. Want to train for really long hikes. Maybe for The Camino de Santiago or the Pacific Crest Trail. Coast2Coast Sweden goes through forest on small roads and foot paths. If you want to walk fast, take few breaks and push yourself there will almost certainly be others that feel the same. Strong feet, light shoes and a light pack are essential in this group. 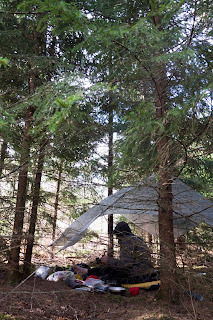 If you want to take your time there will be group that arrives later in camp than others. And last in that group you will usually find Jörgen. If you keep his pace you walk for about 50 minutes and rest for about 10 minutes every hour. Eating snacks, drinking water and letting your feet see the sun is what you do during breaks. You stop and cook a meal for lunch and arrive in camp in the evening. "We get there when we get there" is the mantra. 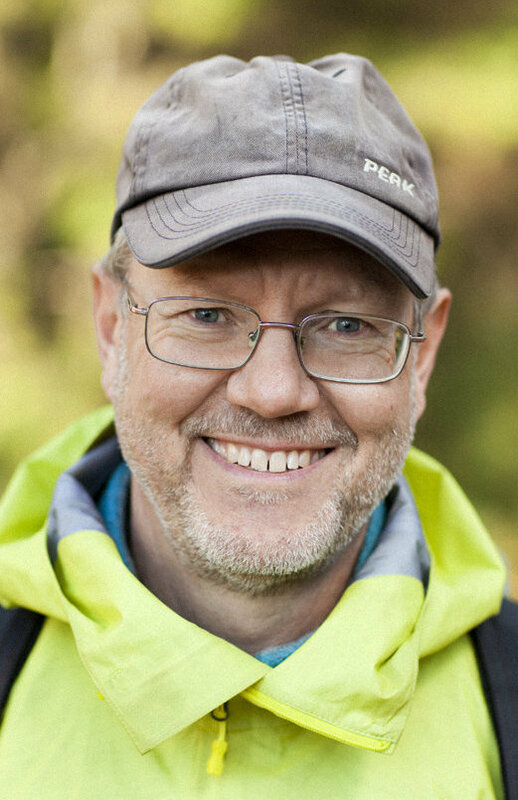 Along the trail Jörgen will do some workhops where he will share the knowledge about lightweight backpacking that he has poured into his books about Smarter Backpacking (to be found on Amazon) and, in Swedish, Vandra Fjäderlätt. 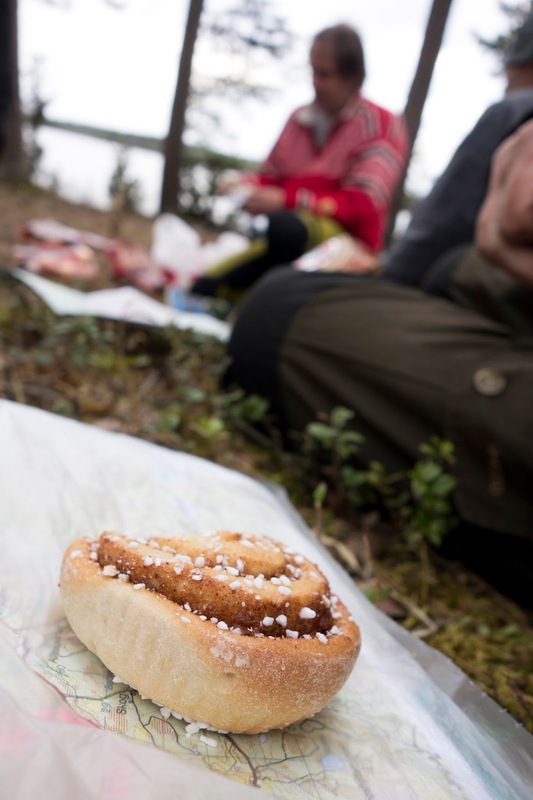 You had better believe that Coast2Coast Sweden will be an unforgettable experience. How many of those do you have in your life? Here are some hightlights from previous events. 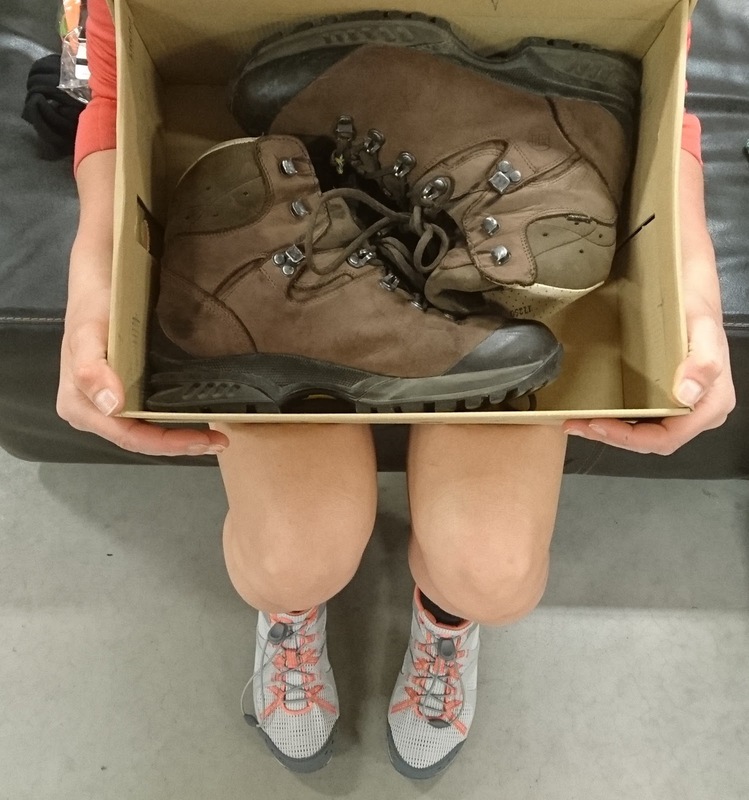 Some hikers buy trail runners at the first chance and send their boots home. 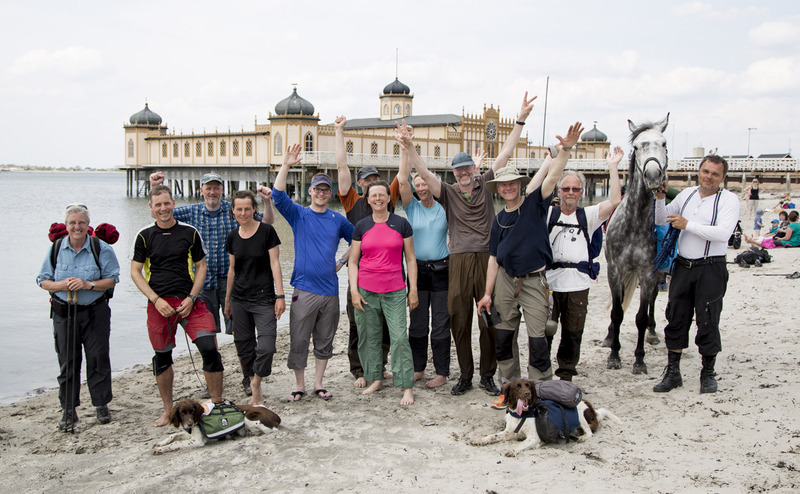 The first Coasttocoasties, class of '13, on the beach in Varberg. 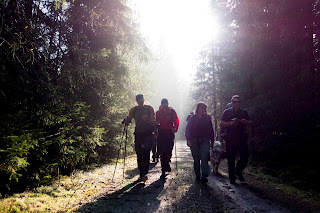 You will find a lot more information about preparations and what can happen on the trail in this website. Feel free to browse. Nice to see my shoes with ducktape. Luckily there was liquisole in the outdoorshop in Vaxjo. 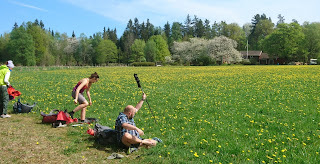 Jörgen Johansson started Coast2Coast Sweden together with Jonas Hållén in 2013. Since then this has been a yearly event that has drawn participants from a number of European countries and the US. 2013-2017 the walk has gone from the Kalmar Castle to the Varberg Fortress. In 2018 a more southerly route, from Sölvesborg to Båstad, is used for the first time.